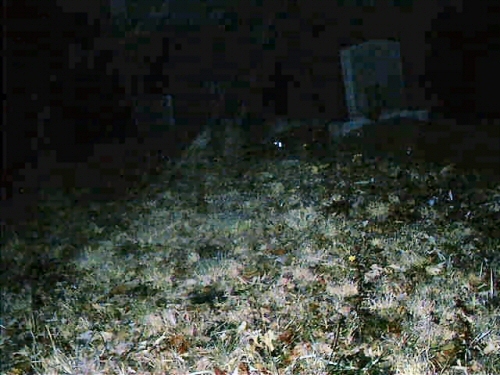 Here are some photos from a graveyard right by our house in Jacksonville, North Carolina. 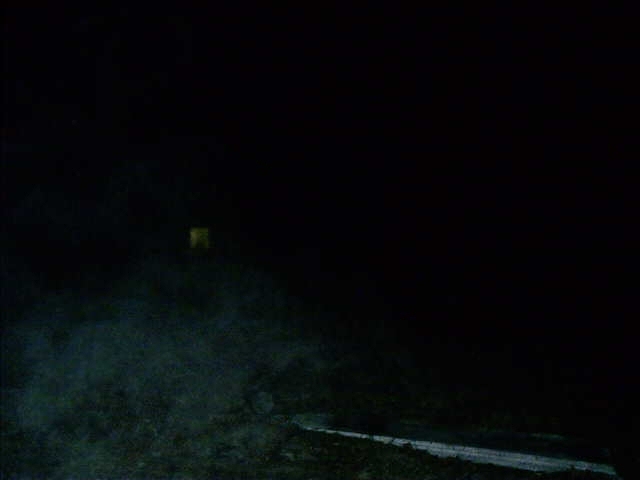 We have just returned from taking these pictures at the cemetery. We had decided that after checking out your website to check out the cemetery. 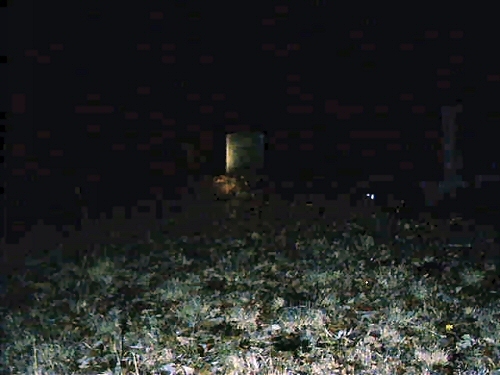 We arrived at the graveyard at the time of 12:30 am. At the time we thought we were pretty safe it was past the "witching hour." We would like your professional opinion if it was our imagination..which my friend Karen would much prefer... It is a small family plot, not very well kept up but with variously aged graves. 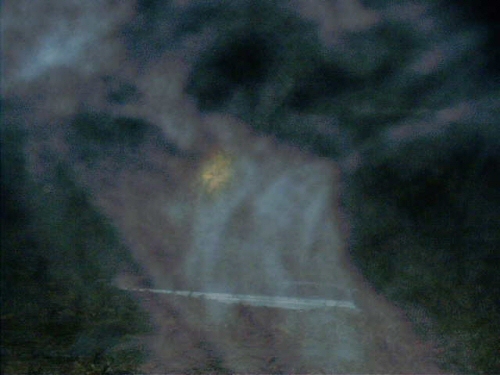 This was done with a digital camera..digimax 130..there was no trickery at all on our parts. 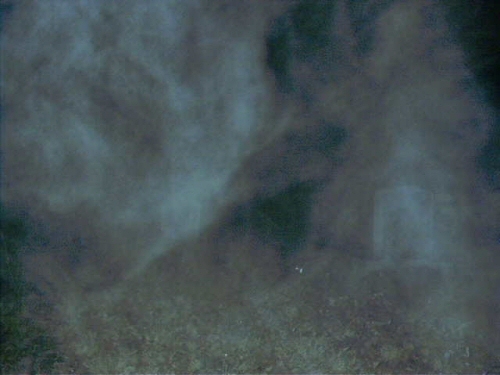 We believe we interrupted or witnessed maybe a funeral and we saw several faces in the mist and for some reason.. unless it was graveyard "red eye," no matter what the tombstone in the middle seemed to have a orange-red glow. As far as we know we were the only living breathing idiots in the cemetery. We plan on taking more pics during the daytime, but for now, here's these. Here's another post about these pictures that was posted on the Halloween's Unseen forum. Thought you might like to read this message about the pictures. Some friends of mine got the brilliant idea to walk down to the cemetery down the path from us. We had just been looking at various ghost pics on Halloween's Unseen (hee!) and other sites. After they drug me down there, (I wasn't going willingly), they said that I had to take the pics (digital camera), since it was my camera. I took several pics and then we decided to head back, it was about all I could take. Didn't see anything at the time, although I did notice on a couple of them that when the flash went off there was fog. It was cold and clear that night. Here's the pics. I've sent them to Janet, and thought I'd share them here to see what your opinion is. The first one is very creepy. I put some of the clear ones in too, so you can see how it was that night. There's no light out there, we had flashlights. There are two little lights on a few of the pics, but I've decided there's probably broken glass or something seeing how it's on several of the pics. Also, notice the "glowing cemetery"! Needless to say, I didn't sleep the next few nights very well. The first night I slept with "two" lights on. The next 2 weeks, we had one light on, and I'm pretty much back to normal now. Thanks for reading, and please let me know what you think!! I've taken the liberty of lightening up some of the pics so they can be seen more clearly. I have displayed the original that was sent along with the one that is brightened below it. Must be able to see these things!